Ant-Man: Do You Know the Huge Origins of this Tiny Hero? If you recognize that as an obscure reference to a Steve Martin comedy album recorded nearly 40 years ago—POINTS! But that’s not what I’m talking about here. I’m talking about Friday’s release of Marvel Studios’ Ant-Man, the comic-book behemoth’s latest offering and the 12th entry into the Marvel Cinematic Universe. Does Ant-Man arrive with the goofiest concept of any comic-book movie we’ve ever seen? Possibly. An ex-con is recruited to fight bad guys by stealing a suit that gives its wearer the power to shrink down to insect size and communicate with ants. Yeah, that’s pretty weird. But it’s only the latest in a long, long line of literary and cinematic tales with teeny-tiny protagonists. In The Nutcracker and the Mouse King (written by E.T.A. Hoffman, later remade as the classic ballet by Pyotr Ilyich Tchaikovsky), Clara is shrunk down to take part in the war between the mice and the toy soldiers. In Lewis Carroll’s Alice’s Adventures in Wonderland & Through the Looking-Glass, Alice sips from a magical potion and eats cakes and mushrooms to reduce her size. Some literary mini-characters are born small. Thumbelina, from the eponymous story by Hans Christian Anderson, is a tiny girl who has adventures with toads, moles and beetles. 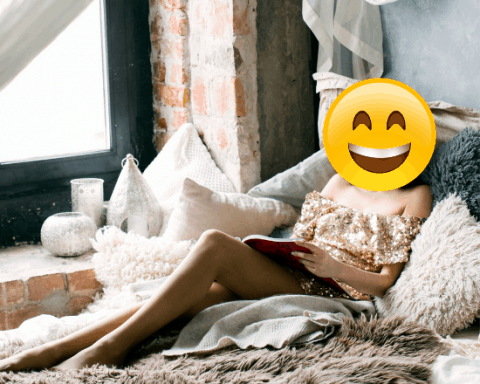 The main character of E.B. White’s Stuart Little, is supposed to be, well, little. He is a mouse, after all. But he travels in style—he pilots a toy boat and drives around in a toy car during his exploits. And long before Ant-Man, heroes have gotten small on the big screen. In 1957, a strange mist turns an innocent businessman into The Incredible Shrinking Man (Lily Tomlin was the tiny star of the 1981 sci-fi comedy The Incredible Shrinking Woman). A medical team went on a Fantastic Voyage in 1966 when they, along with an “inner-space ship” are shrunken to microscopic size and injected into a human body in an effort to save the life of an important scientist. A similar premise was used in 1987’s Innerspace. In 1989, Rick Moranis invented an “electromagnetic shrinking machine” and wound up having a lot of ‘splaining to do in the family film Honey, I Shrunk the Kids. The film would (briefly) become the highest-grossing Disney movie ever, earning more than $222 million worldwide. Doctor Who got into the act when his clone is shrunk and sent into the Doctor’s mind in the 1977 series episode The Invisible Enemy. And Dwayne “The Rock” Johnson is given a magical paste that shrinks him to pixie size in Tooth Fairy (2010), something that’s rarely mentioned when he appears in the wrestling ring. Ant-Man isn’t the only shrinking comic-book character, either. The Atom was created in 1961 and has been a stalwart member of the DC Comics universe ever since, at times serving with the super-group Justice League of America. Most recently, the Atom has appeared on the CW series Arrow, and the network has big plans to include the tiny titan in the new TV series Legends of Tomorrow. So will Ant-Man strike it big when he makes his silver screen debut? We’ll find out on Friday. But there’s one thing we know for sure: good things come in small packages, and big heroes come in any size. Given Marvel’s track record, it’s a good bet that Ant-Man will be living large in theaters this summer. There’s a new trend towards living tiny—really tiny. In this book, Diedricksen (who has hosted, built, and designed for the HGTV series Extreme Small Spaces and Tiny House Builders) shows how you can build that getaway in the backwoods or your backyard. 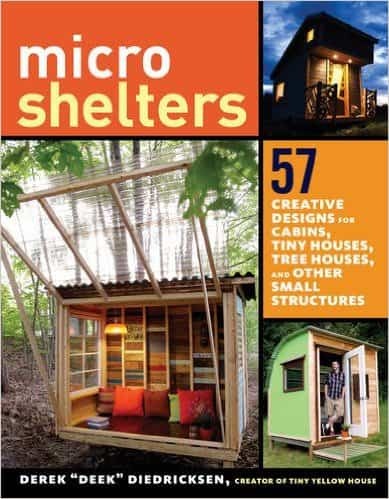 The book features innovative and unique guides for tiny houses, forts, cabins, studios and other microshelters.